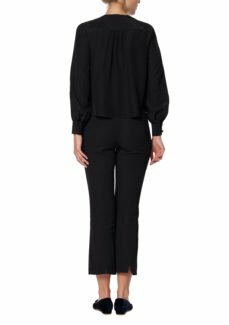 This silk closet staple pairs perfectly with all evening bottoms. 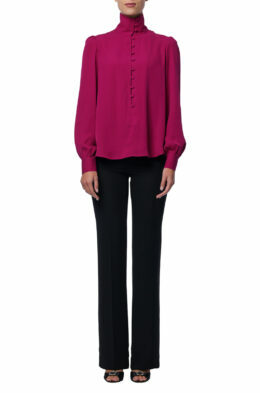 Gabriela features a low cut, one button fastening and elegant blouson buttoned sleeves. 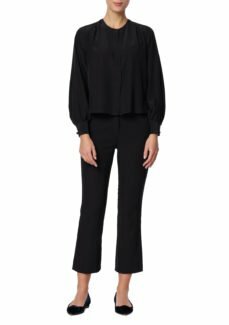 This collarless blouse works tucked in or as it is.